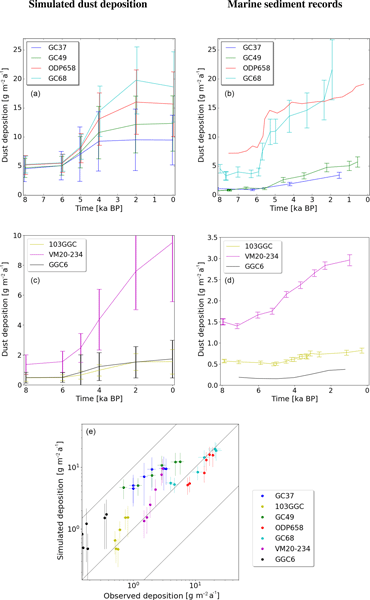 We find a rapid increase in simulated dust deposition between 6 and 4 ka BP that is fairly consistent with an abrupt change in dust deposition that was observed in marine sediment records at around 5 ka BP. 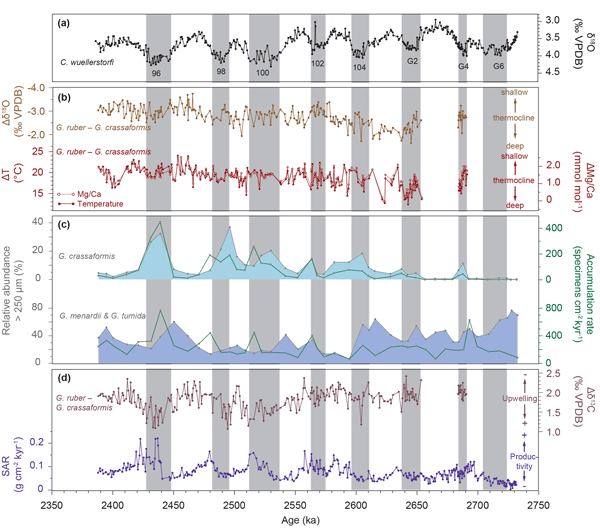 This rapid change is caused by a rapid increase in simulated dust emissions in the western Sahara due to a fast decline in vegetation cover and a locally strong reduction of lake area. 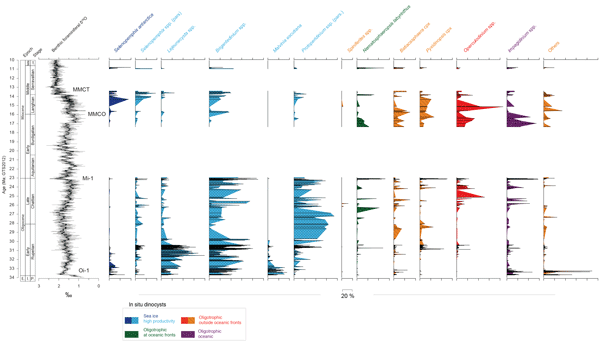 Our study identifies spatial and temporal heterogeneity in the transition of the North African landscape. 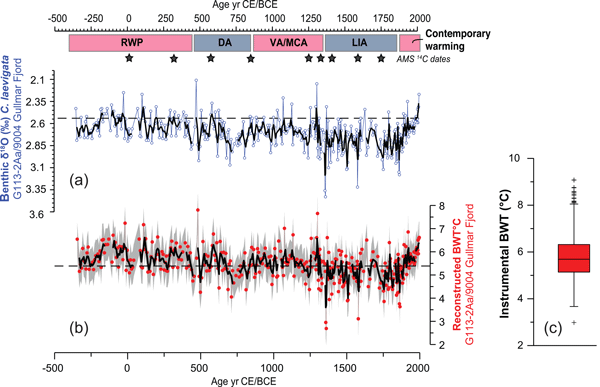 We show the seasonal δ18O data from the NEEM site in northwestern Greenland over the last 150 years. 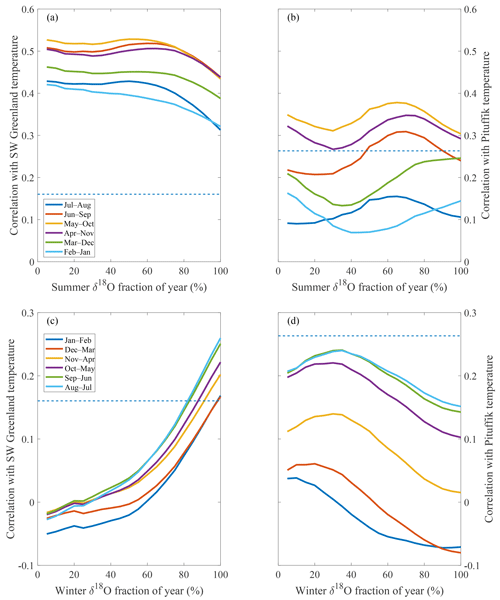 We found that the NEEM summer δ18O signal correlates well with summer temperature in western coastal Greenland, while the NEEM winter δ18O signal correlates well with sea ice concentration in Baffin Bay. 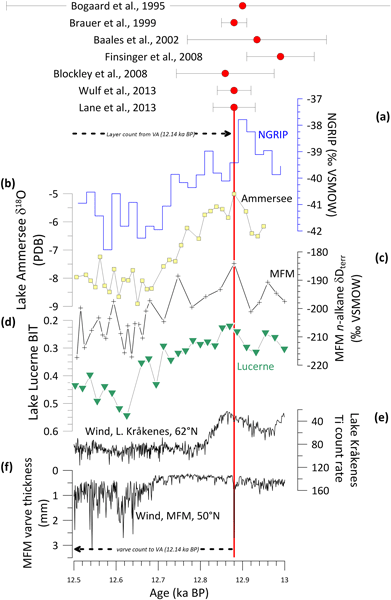 In contrast with the winter δ18O data from central/southern Greenland, we find no linkage of NEEM winter δ18O to winter NAO. 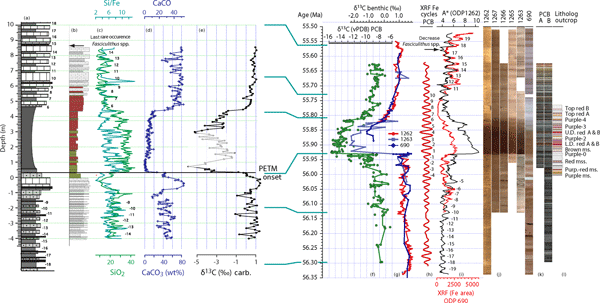 Eastern equatorial Pacific (EEP) thermocline dynamics during the intensification of Northern Hemisphere glaciation (iNHG; ~ 2.5 Ma) currently remain unclear. In light of this uncertainty, we generated geochemical, faunal and sedimentological data for EEP Site 849 (~ 2.75–2.4 Ma). 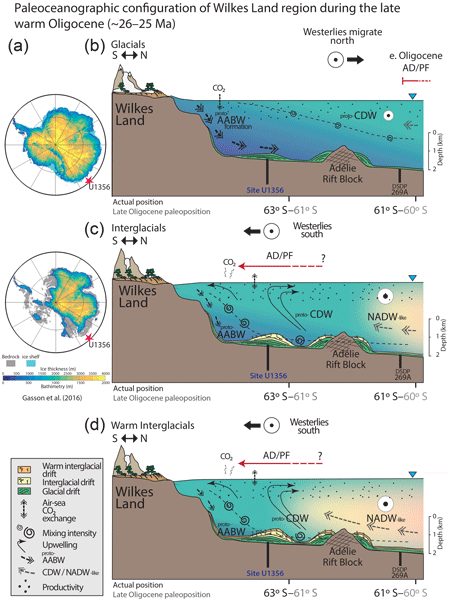 We recorded a thermocline depth change shortly before the final phase of the iNHG, which supports the hypothesis that tropical thermocline shoaling may have contributed to substantial Northern Hemisphere ice growth.